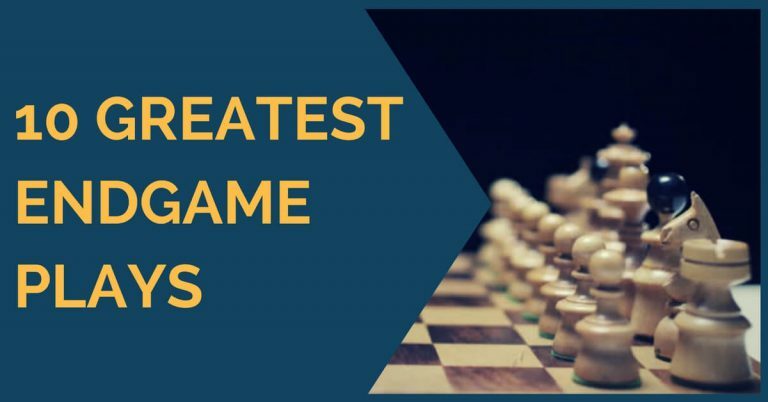 A stronger opponent will always try to demonstrate his superiority in every moment of the game. Even though the position might be equal, he will try to create small imbalances that could provoke mistakes. This is why it is very important that you stay on guard during the entire game and don’t relax too soon. 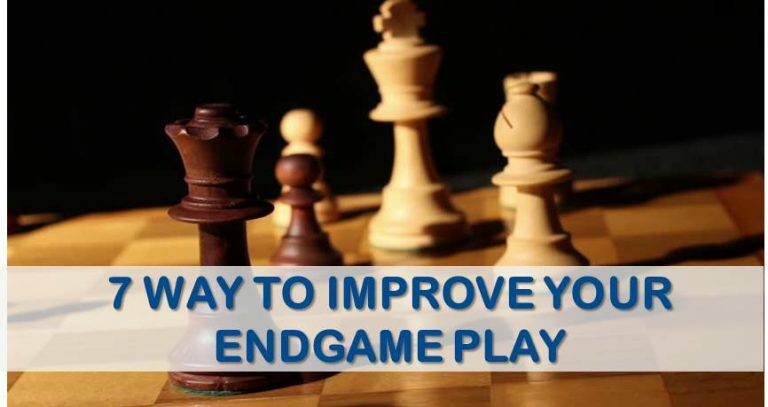 Most likely a stronger opponent won’t immediately offer a draw in an equal, even drawing endgame, but play until the end, patiently waiting for even the slightest mistake. 1. Pay attention to exchanges! 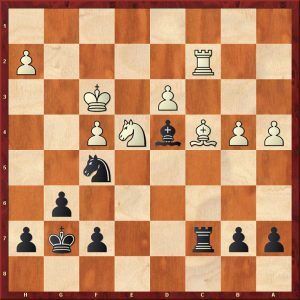 The position is slightly better for black thanks to the better structure. However, the position is not easy to win and white has good chances of making a draw. He should probably play Ng3 with the idea of exchanging the strong knight from f5 and at the same time try to improve his structure. However, my opponent played Bb3 in this position, probably thinking that, with the rooks off the board, the endgame should be easier to draw, but overlooked a tactical trick. Can you find it? 2. Don’t weaken your position! After a quick look at the diagrammed position we can say that white is slightly better due to the better structure, but the position should still be a draw. It’s true that black has an isolated pawn that can be attacked, but it’s not clear how white can put more pressure on it. The other idea white could use in order to play for a win is to make use of the open c file. 3. Prevent your opponent’s counter-play! In seemingly equal position, you often need to wonder what your opponent wants to do. 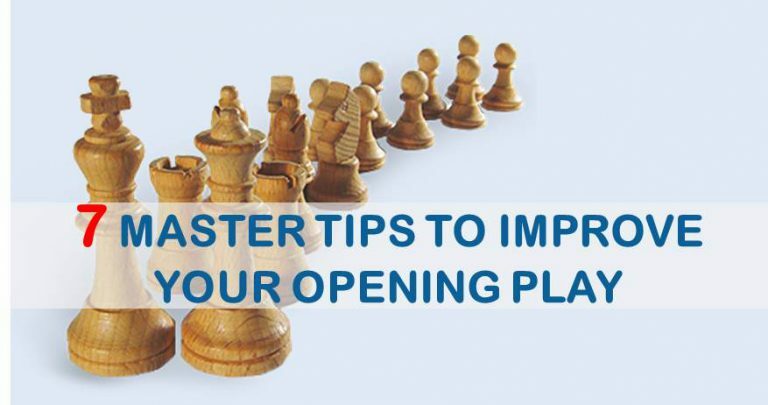 When you don’t have a clear plan of your own, try to find your rival’s ideas and make moves that interfere with them. 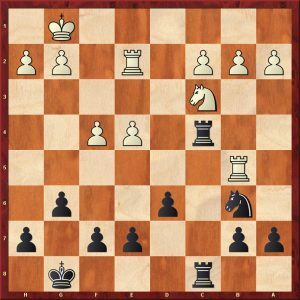 In this position, black has some pressure on the c file and white’s central pawns could become a target. White’s rook on b5 is slightly misplaced as well, as it is for now out of play. 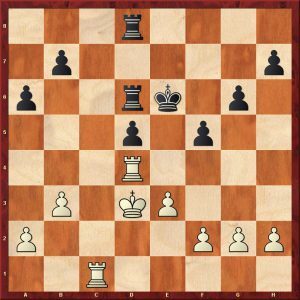 Black, on the other hand, has a better pawn structure and better piece coordination.